The National Indian Foundation (FUNAI), chaired by former Senator from the Workers Party (PT-AM), João Pedro, has positioned itself against the objections made by Brown-Mestizo Brazilian Movement (Nation Mixed) and the Association of Caboclos and bordering the Amazon (ACRA) aimed at preventing the expansion of exclusive territory for muras Indians in the municipalities of Autazes and Careiro Lowland and consequent ethnic cleansing against the mestizo people and mestizo, native ethnic generated by Indians and recognized by the State of Amazonas Constitution and other legislation. With the decision of the body chaired by PT, FUNAI and INCRA begin physical expulsion phase of native people of mixed race ethnicity resident in the area. The territory of the two municipalities are recognized by law as ethnic territories of the mestizo people. The move comes shortly before the vote of the chairman of the resignation process Dilma Rousseff (PT) by the Senate that could keep her from office and, consequently, João Pedro. 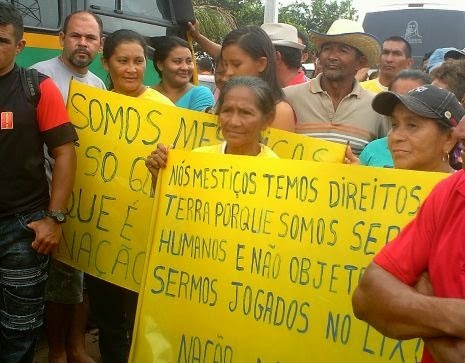 The PT recently received two motions of rejection adopted at the State Conference on Human Rights and the Amazon at the 4th Municipal Conference daCidade Manaus for its policy of ethnic cleansing against the mestizo people and mestizo. 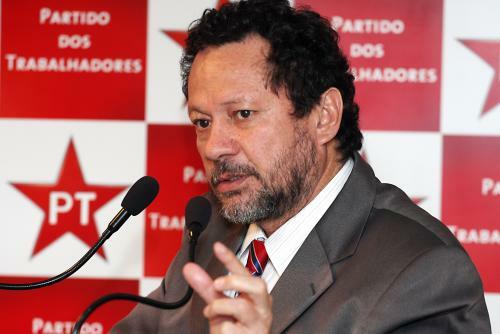 The government of the Workers Party (PT) has an ethnic deletion policy of the Brazilian mestizo. João Pedro, president of the National Foundation of Indian (FUNAI). The National Indian Foundation (FUNAI), chaired by former Senator from the leftist Workers Party (Partido dos Trabalhadores – PT, in Portuguese), João Pedro, has positioned against the objections made by Brazilian Mestizo Movement – Mestizo Nation (Movimento Pardo-Mestiço Brasileiro – Nação Mestiça, in Portuguese) and the Association of Caboclos and Riverines the Amazon (Associação dos Caboclos e Ribeirinhos da Amazônia – ACRA) aimed at preventing the expansion of exclusive territory for Muras Indians in the municipalities of Autazes and Careiro da Várzea, in the State of Amazonas, and consequent ethnic cleansing against the Mestizo people, a native ethnic group generated by Indians and recognized by the State of Amazonas Constitution and other legislations. FUNAI ‘s decisions are set out in two orders of the Ministry of Justice, to which the foundation is subject, published in the Official Gazette of the Union on April 22 last. With the decision of the body chaired by PT, FUNAI and INCRA, offices of the Brazilian government, begin physical expulsion phase of Mestizo people resident in the area, to be occupied by the bantustans called Sissaíma and Murutinga/Tracajá. The territory of the two municipalities are recognized by law as ethnic territories of the Mestizo people. Mestizos manifestation against ethnic cleansing by Brazilian government. The move comes shortly before the vote of the chairman of the impeachment process against white communist president Dilma Rousseff (PT) by the Senate that could keep her from office and, consequently, João Pedro. The PT recently received two motions of rejection adopted at the State Conference on Human Rights of the Amazonas and the 4th Municipal Conference of City of Manaus for its policy of ethnic cleansing against the Mestizo people. 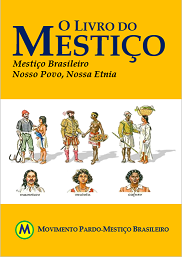 The government of the Workers Party has an ethnic elimination policy against the Brazilian Mestizo people. International multiculturalist NGO’s and governements agencies of German, Norwegian and others European Union countries and USA, as Greenpeace, Ford Foundation, GTZ, Survival International, have supported this apartheid policy against Mestizos and mestization, and Brazilian institutions as the National Conference of Bishops of Brazil (CNBB), the Indigenist Missionary Council (CIMI) and the Brazilian Anthropological Association (ABA).